A gift is always a pleasure to receive. It is all the more valuable when it is a friendship bracelet. I got one earlier this month from my dear friend Octavia Nasr, who was visiting Dubai for a few days to attend the Arab Media Forum. Friendship bracelets are a big business. A search on Google delivers 4,460,000 links! But they are much more than that. I got my only previous one several years ago from my sister Asma. I wore it and waited for it to break to make a wish. It stayed on for about two years. Friendship bracelets are often handmade, usually of embroidery, floss or thread. There are various styles and patterns made on a version of macramé. Although I had been following Octavia professionally for more than 20 years, it is thanks to Twitter, Facebook and Social Media that we became friends online and finally met when she visited the UAE in October 2010. The former CNN Senior Editor of Mideast Affairs was here to participate in the Sharjah International Book Fair. So a tweetup, or gathering of online friends offline, was de rigueur. Many of us had watched with pride a young Arab girl appear on a major American TV channel and work her way up to Middle East Editor. It doesn't get much bigger than that. Octavia and I have since met several times in Dubai and Beirut. It is always an occasion for catching up and getting friends together as we did on this occasion too. Thanks O and see you soon. But sharing is the name of the game at Mich Café – sharing what I see, feel, read about, experience, where I venture or travel and what interests me. It was fun taking random pictures with my gifted Nokia N8 and posting them on my Twitter timeline or Facebook page. Unfortunately, it fell in a swimming pool, forcing me to revert to my antiquated mobile. So, I’ll be posting these random pictures and my thoughts on what makes me happy every day here in Dubai. Happiness is waking up in the morning. Waking up to the sun -- the “best friend” I came looking for in Dubai. Awakening to look out onto a beautiful garden, teeming with a palm tree starting to bear fruit in time for the Holy Month of Ramadan due to start on July 21; blackberry trees you can nibble on in March and April each year, colorful bougainvilleas and fragrant frangipani, fil and gardenia; four aviaries housing tireless lovebirds; and two dogs. It’s difficult to walk out of the door without a smile on my face. What better way to start the day! First news of jailed Syrian blogger Tal al-Mallouhi transpired last week (May 12) owing to the release of activist Razan Ghazzawi. “We demanded 2 join the 3 political prisoners isolated downstairs: Tal Mallouhi, Hadiya Yousef & Manal Nasif. We joined them 4 days ago,” Ghazzawi tweeted on her release. 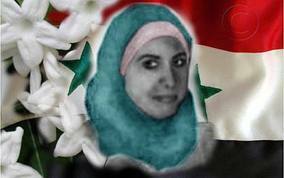 Ghazzawi is media officer at the Syrian Center for Media and Freedom of Expression (@SyrianCenter -- www.scm.bz). 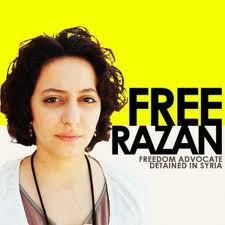 She has been in and out of jail since the start of the Syrian revolution 14 months ago. Her latest spell lasted 22 days. “Home safe and sound but Mazen Darwich [head of SCM], Hussein Ghrer, Abdrahman Hmadeh, Mansour Omari and Hani Zetani remain in jail,” she tweeted Saturday. It is difficult to single out any political prisoner or prisoner of conscience, but my heart skipped a beat when I read Ghazzawi had been in a cell with Tal al-Mallouhi. The young girl was arrested by the Assad regime in 2009, when she was just 17. She was condemned to five years in prison in 2011. A special Syrian security court this week jailed a teenaged blogger for five years on charges of spying for a foreign country, despite U.S. calls for her release. 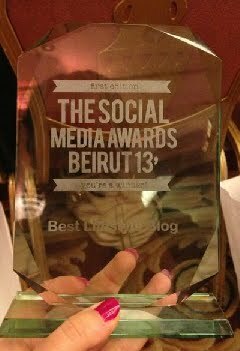 Tal al-Mallouhi, born 4 January 1991, is a high school student and a Syrian blogger from Homs. She is considered the World's youngest Prisoner of Conscience. She was sentenced February 15 but has been under arrest since 2009. Tal published her writings in three blogs. 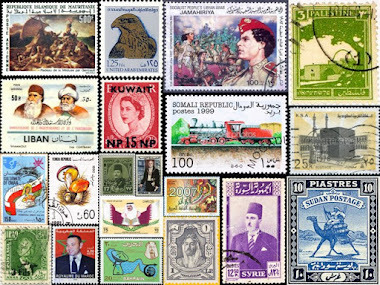 One is listed as Mudawenati, Arabic for "My Blog." Another is titled "Latters" -- probably a misspelling of Letters – and features a series of 35 messages. All are titled "Messages to Man in this World" and conclude with the footer: “I won’t bid you farewell because I’ll always be with you.” Tal's third blog is dubbed "Palestinian Villages." I can’t imagine what Tal’s family and the families of those still behind bars must feel, let alone the incarcerated men and women themselves. If my heart skipped a beat, what happens to theirs on hearing, or while waiting to hear, about their loved ones? It has been my dream, since moving to Dubai six years ago, to have the privilege of a chance encounter with UAE Vice President and Prime Minister and ruler of Dubai Sheikh Mohammed bin Rashid Al Maktoum. 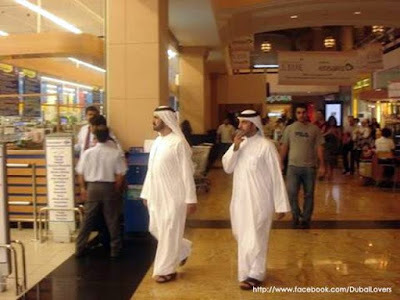 He is often seen around town, in a restaurant, in a mall, or on one of Dubai’s road. “HH Sheikh Mohammed was seen by someone, who took this pic, when he walked into a hypermarket, checked out vegetables, meat and a few other things and then left. Indeed… and that’s why I love Dubai! To think back in sadness, in joy, or just to remember… how time flies. 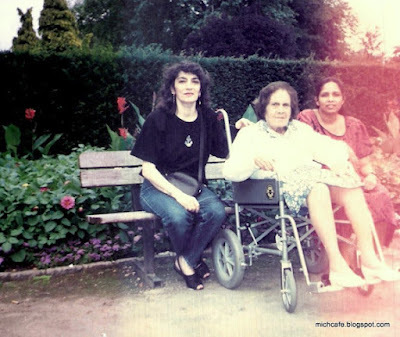 It is today 20 years since my mom Vicky left us. It was a beautiful Spring day in Kensington. May is one of the most beautiful months in London, with flowers blooming all over, trees budding and a promise of summer, that most years forgets to pass by. Two days before, we had been to Holland Park on the afternoon walk we did most days during the two years Vicky was with me in London, barring a spell in hospital. We had with us Ari, the Sri Lankan lady who for eight years helped take care of mom. We lived on Campden Hill Road, just five minutes away from Kensington and Chelsea’s largest park. It became a habit after lunch and a short siesta to wrap up, whatever the weather, and go visit the park. It was a routine that broke up our long, solitary days and one we looked forward to. Holland Park is the Royal Borough of Kensington and Chelsea’s largest park with 22.5 hectares of flower gardens, children’s play facilities, sports areas, a cafeteria, and large stretches of woodland buzzing with wildlife. Contained within the park is the beautiful Kyoto Garden, a Japanese garden donated by the Kyoto Chamber of Commerce in 1991. 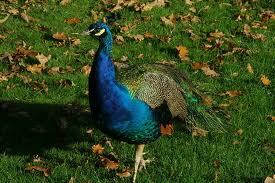 The park is one of central London’s most peaceful spots and so it provided us with lots of joy. It had semi-wild woodland, garden areas, a famous Orangery and a restaurant by the same name, a giant chess set, a cricket pitch, tennis courts and one of London’s best equipped children's playgrounds, as well as squirrels and peacocks. 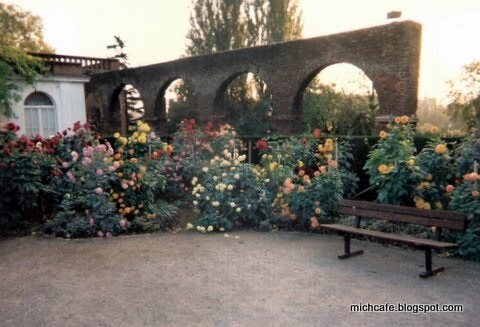 After crossing alleys lined with chestnut trees, we had several stops to make before heading to the pond area where we would site and chat with the regulars. First was the Kyoto Garden to hear the gong from the natural fountain. Next we would go feed the squirrels. 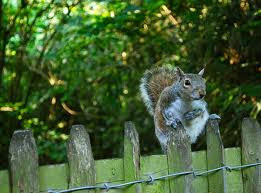 They are very tame and would come up to our hands for their peanuts and make Vicky giggle. They are tagged and we recognized them by these bands. Vicky named one Hanna (John), and would look for him every day. With an ice cream or a cup of tea in hand, depending on the weather, we then sat by the pond for an hour or so. We were easily recognizable, Vicky in her wheelchair with Ari and myself pushing it in turns. 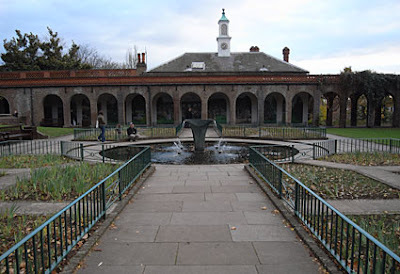 We were part of a small community of regulars who spent a couple of hours in the tranquility of the beautiful Holland Park grounds. 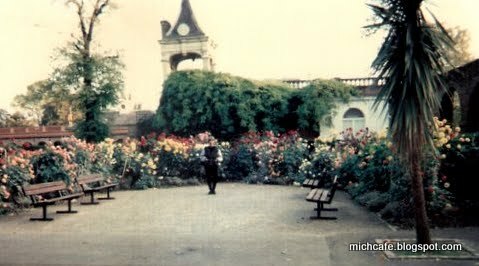 But rewinding the clock 20 years… When got back from Holland Park on the afternoon of May 4, 1992, Vicky wanted to have a little rest. She stretched out on the living room sofa. She seemed more tired than usual, and when Ari and I tried to sit her up a couple of hours later, it was too difficult. She had become very heavy and we had to wait for a friend to pass by and help get her into bed. I could feel the kind of sleep she fell into was much deeper than usual. It was time to call the family. May 5, was another sunny London Spring day. The sun was out, the birds were singing, cars were passing, the World Snooker Championship continued on TV… but Vicky could not get up, there was no walk to Holland Park, just a bedside vigil, where minutes feel like hours and hours like days. As the hours passed, she sank into a deeper sleep. And then, the most horrific sound of all – the death rattle – began at night. It is a sound you never want to hear. And in those last hours, a lifetime goes through your mind played in slow motion. The final breath is so peaceful. You can feel it going through your soul and lifting in the air. On that May 6 morning, life would never be the same again. “What will I do now?” I wondered then in tears. The following weeks are a blur. 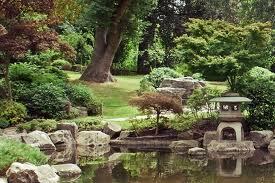 I know we eventually made our way back to Holland Park to scatter Vicky’s ashes. Being so far from home and her beloved Beirut, it seemed appropriate for all the peace and joy the park had brought us. And where better to spread out the ashes than in the flowerbeds, with the birds, squirrels and peacocks, next to the statue of the lady (which sadly was removed a few years later)? If any of my London readers happen to be in Holland Park today, say hi to mom and maybe a little prayer.